Amazon would like you to believe its annual “Prime Day” extravaganza is all about the deals, but a true keyboard warrior knows that every day begins and ends with the same goal: total combat readiness. With that in mind, we’ve collected some of the baddest, brutal-est, and straight-up most lethal-looking Prime Day offers, suitable for veteran Liam Neesons and aspiring Kevin McCallisters alike. While not all of these items are currently available for Amazon’s special bargain price, they’re all on the site’s list today—and they all look gnarly as hell. Designed to tear through hard-to-reach branches, this gas-powered pole saw is presumably just as useful when it comes to hard-to-reach adversaries. Buzz buzz! 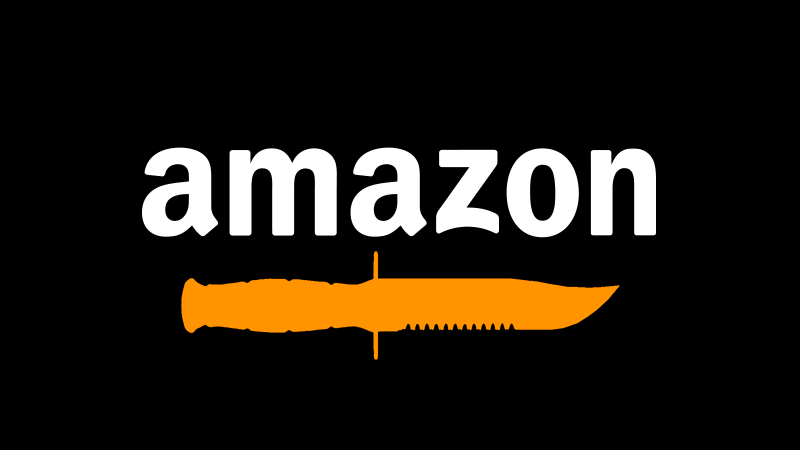 At first glance, this giant nerd sword might look like one of Amazon’s deadlier offerings. Sadly, the powers that be have chosen to build it out of “high quality PU foam.” Still, a stray chunk of this down the windpipe could probably choke even the hungriest goremaw. “Not just a pizza cutter!” brags Checkered Chef. Oh, we know. Sure, Black & Decker also offers a corded model, but do you really want to be poking around for an open outlet when the Russian crime family you’ve been evading for decades finally tracks you down? According to Culinary Prestige, this torch heats up to over 2300 degrees Fahrenheit, making it perfect for ad hoc Home Alone roleplay. Speaking of temperature, this digital thermometer seems more or less ideal for probing enemy agents’ neck meat. Light enough for grandpa, but strong enough for grandpa’s miscalculating intruders. When you’re an electromechanical demolition hammer, everything looks like a concrete floor. It’s a knife, what more do you sickos want?